A Christian look at “John Carter” | J.W. 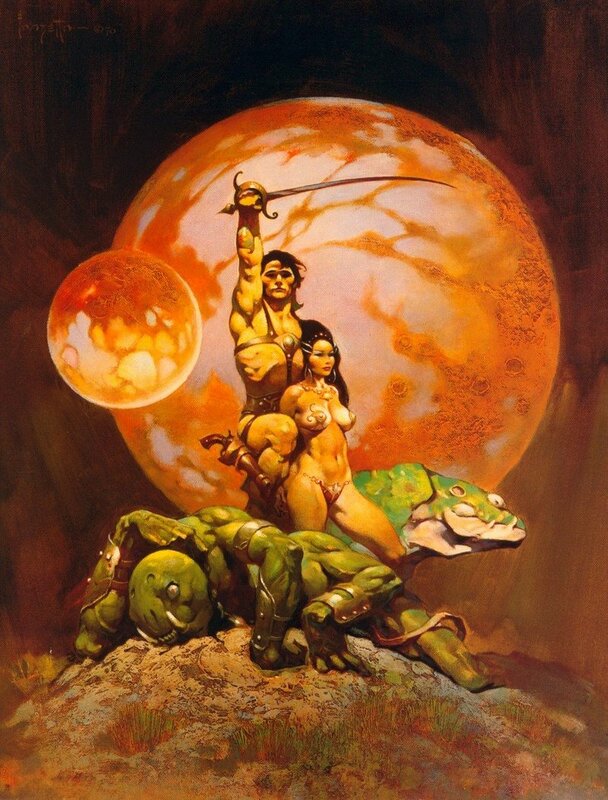 Wartick -"Always Have a Reason"
Disney’s “John Carter ” is based off a series of science fiction novels by Edgar Rice Burroughs which originated in 1912 and helped shape the genre. I admit I have not read the books–though I now plan to–so I can’t comment on how closely the movie adheres to the storyline of the novels. As always, there will be spoilers for the movie. I have left the outline of the plot out of this post, but as usual a succinct summary can be found on wikipedia. John Carter is a hero with a haunted past. The movie, unfortunately, never really explores his history much. From what I could tell, he went to war and came back to find his family had all been killed and his house burned as part of the conflict. He thus swore off fighting for a cause and instead decided to seek his fortune. Once Carter reaches Mars (Barsoom), however, he is thrown into a conflict in which he realizes that the fate of an entire planet rests upon the victory of the city of Helium. Once he realizes the implications of this battle (and conveniently, finds the princess of Helium particularly attractive) Carter aligns himself with the Tharks, a race of aliens largely viewed as savages by the humanoid aliens on the planet. He is able to seal victory for Helium by making the Tharks realize that they, too, have a place on Barsoom which is influenced heavily by the conflict between Helium and Zodanga. The movie touches, then, on the notion of a just war. Helium is trying to save the planet, while Zodanga does little but consume and subjugate. The Tharks view both sides as neutral and prefer them to continue fighting, as long as the war stays away from them. Yet it becomes clear that due to the influence of the Thern–an extremely advanced (technologically speaking) race which seeks to orchestrate the destruction of planets–that the conflict has implications for everyone on Barsoom, and indeed, on Earth. The Tharks have a tradition in which they brand their people as punishment for their sins. The brands are placed so that they continue to cover one’s skin throughout their lives. If one has committed enough offenses that there is no longer any place for a branding, then one is either killed or thrown into the arena to fight against impossible odds. One’s sins literally cover their flesh. One cannot escape from one’s offenses. There is no redemption. Christianity affirms that sin is something for which one can make no redemption for themselves. One’s sins are, in a sense, branded onto one’s past. Only by repentance and grace through faith can one be saved. There is no escape from one’s offenses except through the full and free forgiveness through Jesus Christ our Lord. There imagery in the movie of one’s sins being displayed on one’s flesh is powerful, and it resonates with the Christian view that our sins condemn us forever. Only by grace can we be saved. There is no removing the sins–branded onto us–by our own power. The Therns are supposedly oracles of the goddess. However, it turns out that they are actually dedicated to manipulating civilizations across the galaxy. It is never discussed whether the goddess and the Therns were ever actually genuine, but it seems fairly clear that those calling themselves Therns are just using the title in order to gain power. Religion is therefore seen as a kind of way to manipulate and enthrall the masses. All of the sides of the conflict are shown to be dedicated to the goddess, but none seems to have the full truth. However, it does seem that the dedication of the Tharks, in particular, shows a resonance with truth and a genuineness that reaches beyond the mere use of religion as subjugation. The movie, I would say, gives an overall neutral view of religion. In some ways it can be used for ill, but it nonetheless is not inherently evil. Yet another aspect of religion in the movie, however, is that one can observe the difference between genuine faith and exploitative faith. It is clear that many of the Therns genuinely believed in the goddess and there are scenes which convey a sense of awe over the faith on Barsoom. Religious practice is seen as taking place on a genuine level and being an important part of the lives of the practitioners. These religious persons are seen as genuine and largely trustworthy. On the other hand, those who seek to exploit the faith are seen as inherently evil. Such a view should resonate with Christians, who are instructed to be aware of those within the church who would seek to lead us astray (antichrists). Social justice is an underlying theme in the movie. By portraying the alien Tharks as the outsiders, the movie is able to focus on the notion that the downtrodden and overlooked can rise above the limitations of their position. Although viewed as unequals, they are equals. One poignant scene early in the film showed a hatchery for the Tharks. They came to collect the hatchlings and it turned out that some eggs hadn’t yet hatched. The Tharks then fired on all the eggs with their gun and destroyed the “weak” young. I couldn’t help but think that this is largely what is happening in the real world with abortion [a topic I have written on extensively]. Here again, worldviews rear their ugly heads. The faith of Barsoom is a bit enigmatic. The goddess seems largely uninterested in the goings-on of everyday life. Furthermore, those who follow her are fully willing to kill their own young in order to ensure the survival of the strongest. One can’t help but think of the prioritization of desires over objective morality in our own world. 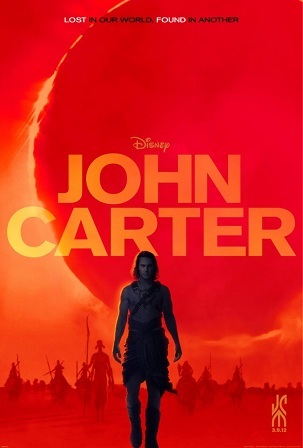 “John Carter ” is another film with a number of worldview discussions happening in the background and it’s worth a watch both in order to start discussions about religion, justice, and the like but also to explore the origins of science fiction, a genre steeped in religious dialogue. Check out another review of the movie over at Sci-Fi Christian, which looks into the background of the movie more, as well as exploring some Bible texts in relation to the movie: Barsoom or Bust! Engaging Culture: A brief guide for movies– I discuss how Christians can view movies with an eye towards worldview. Religious Dialogue: A case study in science fiction with Bova and Weber– I look at how science fiction is frequently used to discuss worldviews and analyze two major authors in the field along with their view of religious dialogue. Alien Life: Theological reflections on life on other planets– What would it mean for Christianity if we discovered life on other planets? Check out my other looks at movies, including the Hunger Games and the Dark Knight Rises here (scroll down for more). As a fan of the actual novels, I hated the movie. John Carter never had the backstory they gave him, the Therns weren’t in the books, and the actual reason that Barsoom was dying was because the technology required to keep the atmosphere breathable was in need of repair. Its just another example of Disney ruining a great story. I’ve heard from someone else that the movie wasn’t like the books at all (though he really liked it a lot). I look forward to diving into the books in the near future, though. I of course wouldn’t say the story of the movie was awful. I enjoyed it a lot. Did you think there were no redeeming qualities? Lots of ERB purists seem upset with the film (even a year on), but I think fans of every author should be so lucky as to have such a wonderful adaptation of their books brought to the screen!